Claude Puel has insisted he cannot change his squad so late in the transfer window, and a potential world-record bid for Harry Maguire would be rejected. The central defender has been linked with a move to Manchester United since his strong performances at the World Cup. 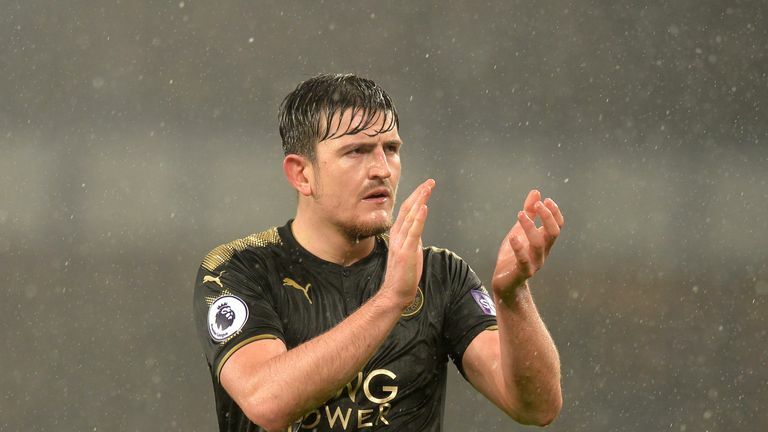 It is understood Maguire has been hoping United would come in with an offer for him before the window closed, though Puel has outlined how Leicester cannot lose any more top players. Speaking in a press conference on Thursday ahead of his side's Premier League curtain-raiser against United, live on Sky Sports Premier League, Puel addressed the issue by teasing journalists about a potential transfer. "I can confirm he is going to Manchester but only for a couple of hours on Friday night [for the match]," Puel said. "I am happy to keep Harry of course and all our best players. I want to keep all our best players for this season to keep a good ambition. "We lost Riyad (Mahrez) he was a valuable player for us but was important to keep all our best players and have good additions for the squad. "Harry came back with a smile. I'm happy about with his attitude in general, he has good mentality and good spirit. It was important for him to remain with us and keep strong momentum for this season. I am happy to keep him." When asked whether a world-record bid for a defender, exceeding the £75m Liverpool paid for Virgil van Dijk, would tempt Leicester, Puel retained his stance. Puel said: "We have had good speaking with Harry recently and with the chairman also and we cannot change our things just before a game and just before the new season, it is not possible for us. "We have to prepare this season with good possibility. "For me it was important to give Harry the feeling when he came back with us to come back into a squad with good strength and good ambition and I think in the transfer window for us we show him we have good attributes, good players and a good balance in the squad."